Featuring: Heavy-duty canvas, adjustable shoulder strap, central compartment, and a secret pocket. 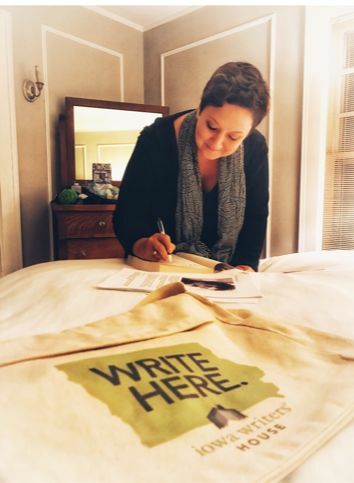 Proceeds support the Iowa Writers' House and making our community programs possible! Left: Brooklyn-based author Julia Fierro signs her book with her new messenger bag.